Sumitomo Precision USA (SPU) is located approximately 35 miles from the DFW International Airport in DeSoto, Texas. 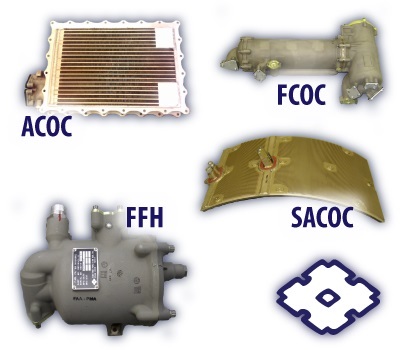 Sumitomo offers more that a half-century experience in the design and manufacture of heat management systems and is the OEM of many types of aircraft heat exchanges including V2500 ACOC, FCOC TRENT 500/700/800 FOHE and BR710/715 heat exchangers. Our repair station division specializes in the repair and overhaul of Sumitomo manufactured heat management systems i.e. Fuel Cooled Oil Coolers, Air Cooled Oil Coolers, Surface Air Cooled Oil Coolers, Fuel Filter Housings for Trent, BR and V2500 engine platforms, while also providing Sumitomo OEM warranty administration services. Supported by Sumitomo’s OEM facilities and staffed with OEM trained technicians, our repair division offers the aviation industry continued support of Sumitomo Products. The OEM division offers Sumitomo OEM spare part sales for Trent and BR engine platforms. Please contact us with any questions that you may have concerning our service and overhaul capabilities.